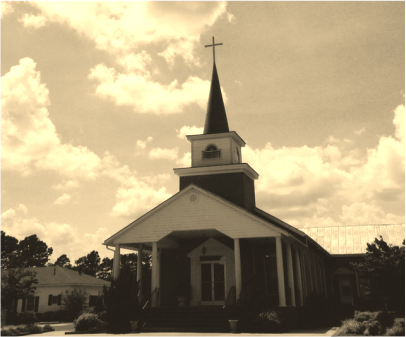 Wintergreen OFWB Church is located in a quiet rural setting three miles north of Cove City, NC. We have an active membership of approximately 125 members. Our demographics reflect that Wintergreen Church is a place where all races, classes, and ages are welcome. We have a broad and diverse congregation. For young parents who are looking for companionship along the trials and joys of babies and nesting, we have many young families who are just getting started in life and who lean heavily on each other for much needed support. For parents who are dealing with young children starting school all the way up to those who have teenagers leaving high-school and entering college, we have a good portion of the congregation who are dealing with those same issues who love and support each other. For middle aged persons who are struggling with a new situation such as an empty nest syndrome and making that last dash to tidy up the retirement account, we have those who are traveling similar paths. For those who are retired and are seeking to enjoy those golden years in travel and other exciting adventures, we have a good number who are living out that dream together, as well. The main thing is that in and through all of these diverse paths that we traverse together, we are all seeking to honor and glorify God our Father with our lives, through Jesus our Lord, in the power and presence of the Holy Spirit. So if you are seeking a loving and supportive group of fellow pilgrims who are facing some of the same life issues as you and who desire to face these while honoring and glorifying God along the way, we have a place for you. Will you join us? We are members of the Convention of Original Free Will Baptists. If you are interested in understanding more about our denominational ties, we encourage you to click the link above and read more. However, we would like to share a few words about how we understand the value of our connection. Often, when one hears the word Baptist, one has a particular image come to mind, however there is a world of difference between Baptists. The Original Free Will Baptist denomination is a unique group that does not align itself with many other Baptist groups. The most important belief of the Original Free Will Baptist Church is that Jesus Christ came to this earth as the Son of God to live and die to save humanity from our sins and reconcile us to God and each other. Related to that belief, the Bible says that God will save anyone who will accept the free gift of reconciliation that God offers unto us in Jesus. This is why we are called “Free Will Baptist,” because we believe that each person can make a Free Will choice to either accept or reject the free offer of salvation in Jesus Christ. A second important belief of our church is that we are not saved to sit patiently waiting to die and go to heaven. Rather, since Jesus Christ Himself came into this world as a servant to all humanity, then we believe that the best way we can be His disciples is to follow His example of servitude. Prominent on our denominational logo is the towel and basin which reminds us of the fact that Jesus, on the night when he was betrayed, arrested, and subsequently crucified, took a basin of water and a towel and washed His disciple’s feet. Jesus told the disciples that the act of service was an example which He desires for all of his disciples to learn from. Just as Jesus humbled Himself into the role of a servant to His disciples that night, Christ desires us to humble ourselves into the role of a servant of all humanity with a desire that our loving service will be used by God to continue the process of reconciling the world unto God’s Self. Someone once said, “If you are not a part of the solution, then you are part of the problem.” Therefore, our vision for ministry is to seek to be a part of the solution to the problems of brokenness in our world. If you are a person of faith who would like to be a part of something significant that God is doing in the world, we would humbly ask you come and develop your call to ministry and share your giftedness in the context of our community’s effort to serve God by serving others. Wintergreen OFWB Church was founded in 1882 on land that was given by Haywood Daugherty. The church building was completed in autumn, and while some of the ladies were working in the church yard, they noticed the beautiful mossy green backgound: hence, the perfect name for the church, Wintergreen. The original church was enlarged once, and in 1936 was moved 1/4 mile south of the original site. The present church building was started in 1936 at the original site alongside the original building (later moved). In 1947, the first Sunday School rooms were added. In the beginning, Worship services were held once a month, and in March of 1951, the church moved to half time service, and Worship was held twice each month.